Located in Orange County, Chapel Hill is the home of the University of North Carolina-the nation’s first public university-and UNC Health Care. It is a principal town of a large metropolitan area but retains a relatively small town feel rich in history, traditions and unique characteristics. Nicknamed the “Southern Part of Heaven”, Chapel Hill was named after New Hope Chapel which stood upon a hill at the crossing of two primary roads. The Carolina Inn, listed on the National Register of Historic Places, now occupies this location. Chapel Hill is a foodie’s paradise with nationally known restaurants such as Crook’s Corner, Mama Dips, A Southern Season, Lantern Restaurant and many more. 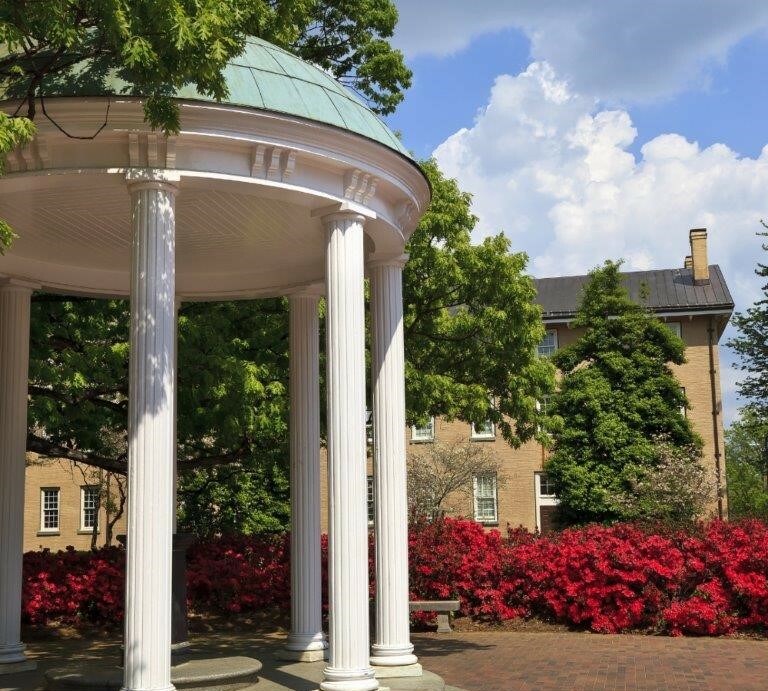 You can also check out a local band, catch a show at the Morehead Planetarium, stroll down Franklin Street or watch the Tar Heels take on their historic rivals at a football or basketball game.